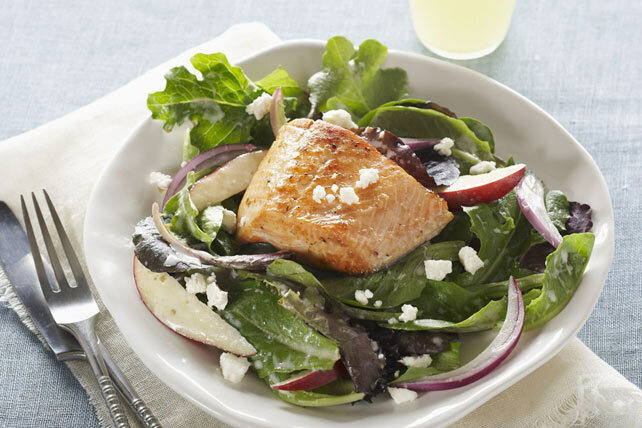 Satisfying and flavourful, this delicious main dish Greek-Style Salmon Salad recipe can be on the table in just minutes. For a 2-serving recipe, prepare as directed cutting all ingredient amounts in half. In addition to providing a good source of vitamin A per serving, this satisfying main-dish salad is a great way to add more fish and vegetables to your diet.